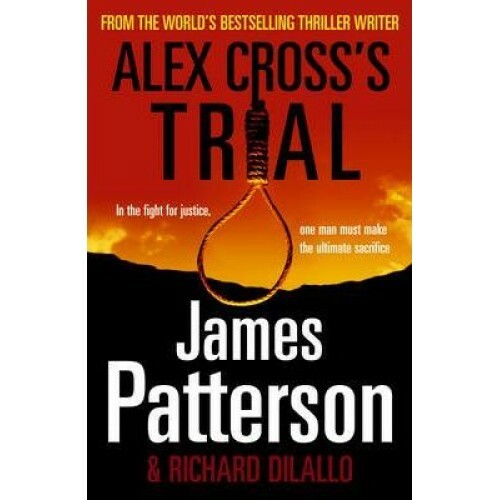 While you wait for the next exciting installment in the "Alex Cross series", "I, Alex Cross" (published November 2009 by Century), get your hands on a new book written by Alex Cross himself! Ben Corbett is a brilliant young lawyer in early-twentieth-century Washington DC. Yet he is a disappointment to his wife and father, who believe he wastes his talents by doing poorly-paid and thankless work helping the poor and downtrodden. One day, out of the blue, he receives a private invitation to the White House. President Theodore Roosevelt has personally selected Ben to help him investigate rumours of lynchings and a re-emergence of the outlawed Ku Klux Klan in Ben's own hometown of Eudora, Mississippi. Ben accepts the mission handed to him and is given the name of a man in Eudora who will help him in this covert operation - the man's name is Abraham Cross, great-uncle of Alex. As Ben delves into the murky depths of racial hatred that hide beneath the surface of this seemingly sleepy Southern town, people become suspicious of what he is trying to do, and make it very clear to Ben what he is risking if he continues. Ben must decide if he is willing to lose old friends, his family, maybe even his life, for the cause he believes in. In his quest to bring about justice for the tortured and tormented black community of Eudora, Ben will have to take on the biggest, most difficult, and most dangerous trial of his life. But can one man fight an entire town, an entire state that is stuck in the past and willing to go to any lengths to halt change and the coming of a future that they desperately fear?